Interface plays an important role in the popularity of Android devices. As compare to other OS, the graphical interface representation of android is more attractive and stylish. It is also easy to understand. But the most interesting thing about android is, there are millions of different apps are available which makes device more powerful. Even if we start getting bore from your default interface. Then we can install best launcher for android to change device look. On the other hand we can totally change our device by installing customs roms for android. But installation of custom roms for everyone is not possible. In that condition to refresh our device look launcher for android are the best way. We can experience all the different look with the help of android launchers. So today we will discuss about some best launcher for android which will change your device look effectively. List Of Best Launcher For Android. 6. Next Launcher 3D Shell Lite. 9. 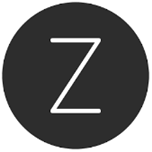 Z Launcher by Nokia. The top most and famous launcher for android with over 100 million+ installation. 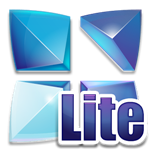 Go launcher is with 1000+ themes and experience most powerful speedy and small operations with 3d core. Go launcher includes features like 1000+ personalized themes, super smooth 3d transition and flipping effects. Additionally they have 15+ different widgets which includes Clock, Calendar, Weather and much more. Go launcher is top most rated and trusted launcher which transform your device experience into great personal online user experience. 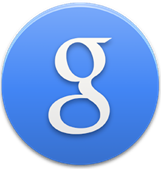 Famous Launcher introduce by Google Inc for Android devices to make Google one Swipe away. Google now comes out with amazing features which provides right information at right time. Google Now include voice feature in which just say ‘OK Google’ then your search query. Their are some other function to perform like Play songs, Send message or other things you can do in launcher. Holo Launcher is simple, fastest and highly customizable home screen replacement based launcher for android. Not like other launcher holo can be run on froyo, Gingerbread, ICS and jellybean. Some best features of Holo launcher are Full ICS style Icon, folder, Drawer tab, outline etc, Infinite scrolling. In addition they have Backup and restore facilities for settings and shortcuts, Hide label and drawer facility, portrait and landscape grid and much more feature which you will enjoy in this launcher. 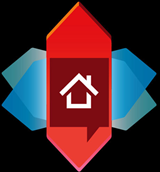 Nova Launcher is highly customizable, high performance home screen replacement launcher for Android 4.0+. It includes most polished and customizable features which includes color themes with full color picker support, Apply Go launcher icon for all apps, Favorite app on Dock, Scroll effect, Transparency, customizable app drawer, backup and restore feature, Widget overlapping, unread counts for sms, emails, miss calls and much more. This launcher is full of great features and nova will definitely transform your device with best options. If are bored from android interface but you don’t want to buy any another OS phone just because of Android features then don’t worry here another launcher which will give interface of Windows phone and OS of Android in other words Launcher for Android phone which make device looks like Windows Phone. Launcher 8 in one of famous android launcher which change your Android interface with Windows Phone look which includes almost same look as on actual device. It include same Tiles look with many other features. Next Launcher 3D is one of famous launcher for android with real 3D visual effects. It provides 3d effects with buttery smooth experience, Stunning 3D screen preview with screen switching animation, 3D widgets, 3D themes designed by Go launcher team, Multi-select app to fulfill batch operation on android launcher home. It is totally based on 3D effect but these features are limited until you upgrade to its premium version So give try to Next launcher. Action Launcher 3 is rather our favorite android launcher. It has a stock android look yet set of unique features built in it. This launcher also has a quick access page which is very helpful. pro account will unlock rather interesting feature like accessing widgets through app icons. It has a very stable built and can be easily used on permanent basis. Arrow Launcher launched by Microsoft has progressed to become a great launcher. This launcher provides home screen to put your apps. It is extremely easy task to pre-set home screens which display frequent contacts and apps, recent documents, reminders, etc. You can easily set up the Microsoft ecosystem of services accessible right from your home screen. This is a very minimal launcher yet it performs exceptionally well. It features a home screen where you can actually write whats you are looking for. It is available as beta on the play Store but it offers a very stable performance. we recommend this launcher for people who prefer high functionality and quick access. 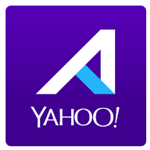 Aviate Launcher is offered by Yahoo for all android devices. It came out a couple of years back and has delivered excellent performance. The launcher has some contextual elements which deliver apps when you need them. it also has smart stream for content of your interests. We hope you likes these few best launcher for Android devices which makes it attractive.